SSNNL Recruitment 2016: The Sardar Sarovar Narmada Nigam Limited invites the application form the eligible applicants for the post of Additional Assistant Engineer (AAE/Civil) and Assistant Engineer (AE/Civil). There are nearly 335 vacancies. The good news for the candidates who are seeking the latest govt jobs in Gujarat can apply the Sardar Sarovar Narmada Nigam Limited recruitment 2016. The interested applicants must refer the SSNNL recruitment notification 2016 to check the eligibility criteria. The candidates who meets the eligibility details can apply the SSNNL Assistant Engineer vacancy 2016. This is one of the excellent opportunity for the aspirants, so the applicants can utilize the SSNNL AE jobs 2016. The contender must apply the SSNNL online application 2016 through the official site ojas.gujarat.gov.in. The last date of online registration on 15th June 2016. 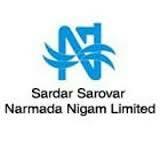 Name of the Company: Sardar Sarovar Narmada Nigam Limited (SSNNL). Post Name: Assistant Engineer (Civil)/(AE) & Additional Asst Engineer (Civil)/(AAE). Total No of Jobs: ojas.gujarat.gov.in. Content Name: SSNNL AE Jobs 2016. AAE (Additional Assistant Engineer/Civil): 220. The candidates should have an age limit not less than 21 years and not more than 35 years. The upper age limit will be applicable for the reserved applicants as per the govt rules. Assistant Engineer (AE): Complete the Bachelor Degree in Civil Engineering from any recognized university. Additional Asst Engineer (AAE): Pass the Diploma in Civil Engineering from any recognized university/institute. The selection of the aspirants in SSNNL recruitment 2016 will be based on the performance in the written test and shortlisted candidates will be getting the jobs. Open the official site ojas.gujarat.gov.in. Download the SSNNL notification 2016. Check the eligibility criteria details. Save the application for further reference. Last date of Sardar Sarovar Narmada Nigam Ltd application form: 15.06.2016. SSNNL Recruitment Apply Online 2016. Sardar Sarovar Narmada Nigam Limited Notification 2016.